Is becoming a flight attendant your dream? Then get ready with your resume friends as AirAsia Cabin Crew hiring has been announced. AirAsia is currently looking to fill-up Male and Female Cabin Crew positions. The World’s Best Low-Cost Airline – AIRASIA will be conducting the walk-in interview on October 15, 2016 (Saturday) from 8:00 AM-12:00 PM at the CEBU GRAND HOTEL (Legaspi Hall), VIBO Place, N. Escario St., Cebu City. If you have the guts, determination, fun personality and never-say-die attitude then you are absolutely what they’re looking for. 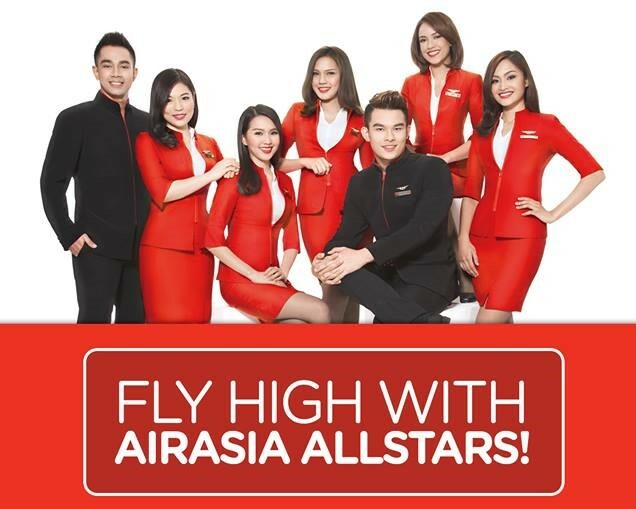 Apply now and be one of their future AirAsia Allstars! When will be your next Cabin Crew hiring in Cebu?